We love throw pillows! On the couch, on the bed, on the outdoor chaise lounge. We can’t get enough! There are tons of great pillows out there, but sometimes we want something more custom. If you do too, you’ll love this project. We’ll show you how to make your own throw pillow from start to finish. 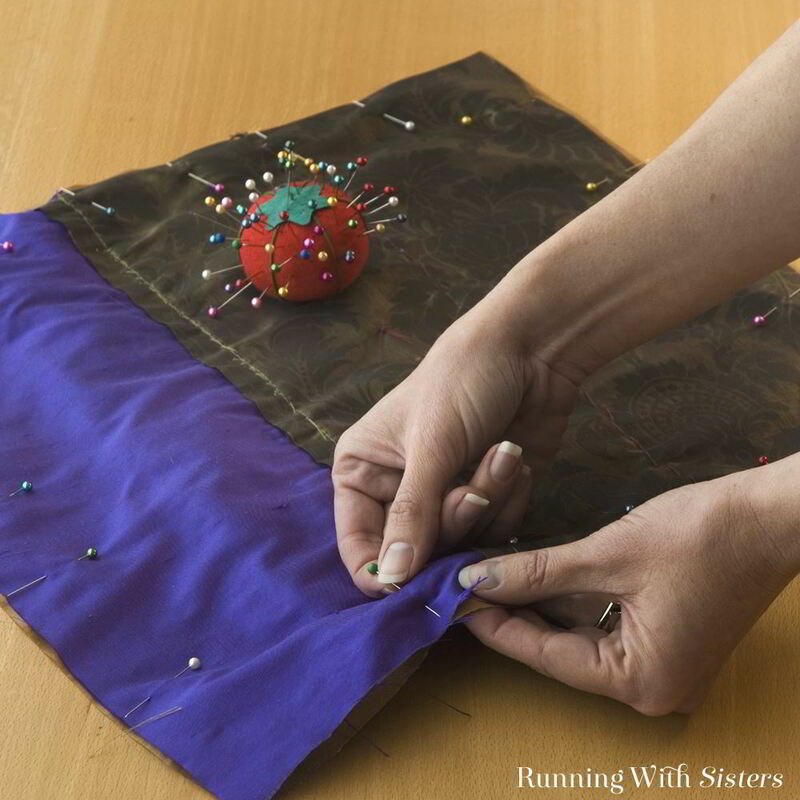 We’ll show you how to pin the fabric, add embellishments, sew the seams, and stuff it. 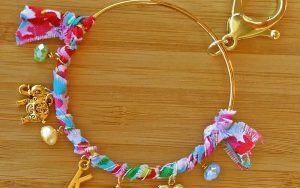 The fun thing with this how-to is that you can use any fabrics and embellishments you like. So your throw pillow will be perfect for you! 1. To get started, lay the purple silk shantung face down on the flocked taffeta (which should be face-up). 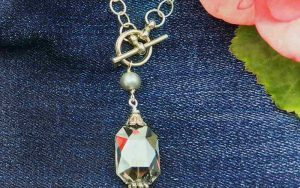 Align the left edges and pin them together. 2. 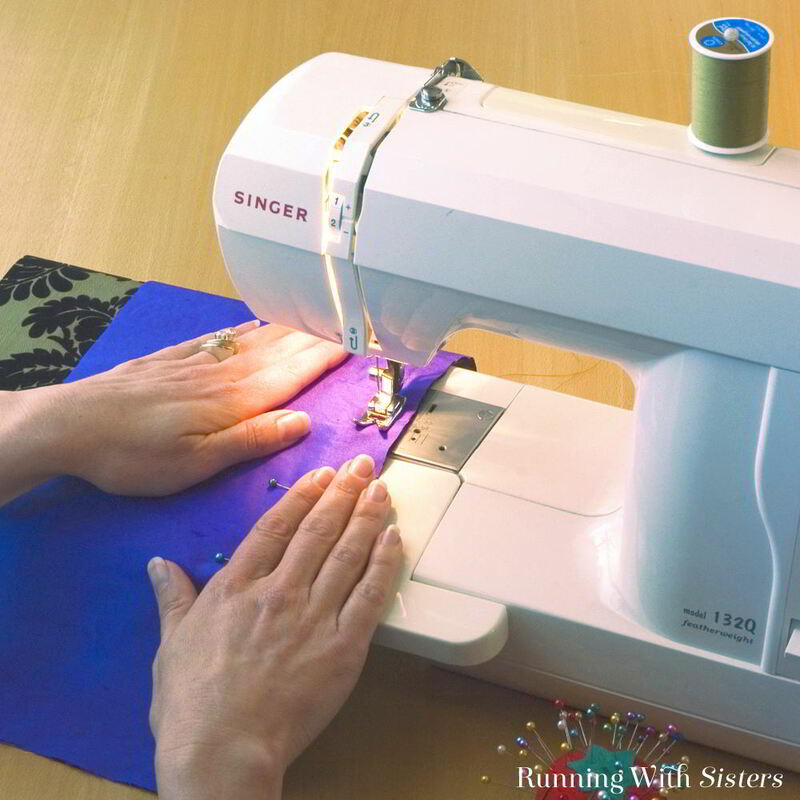 Sew the pinned sides together ½” from the edge using the sewing machine and a straight stitch. 3. 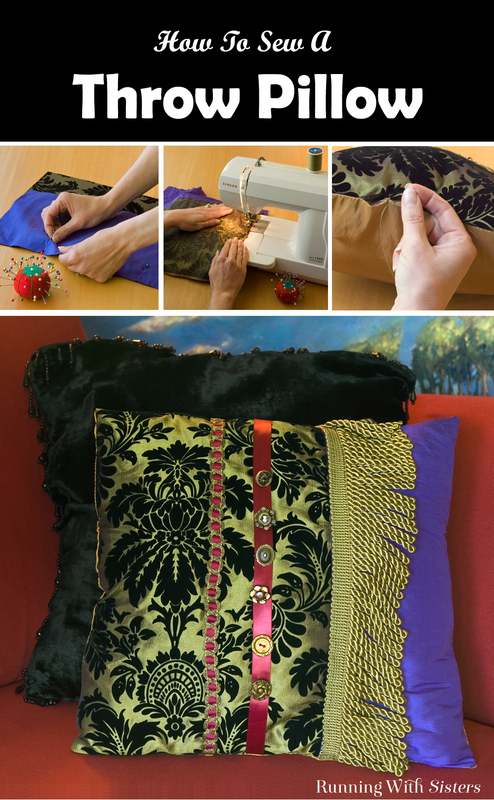 For an embellished pillow like this, the buttons and fringe may seem like a finishing touch, the last step in the project. Surprisingly they happen early on in the project. By adding the fringe and the buttons first, you can hide the stitches inside the pillow. 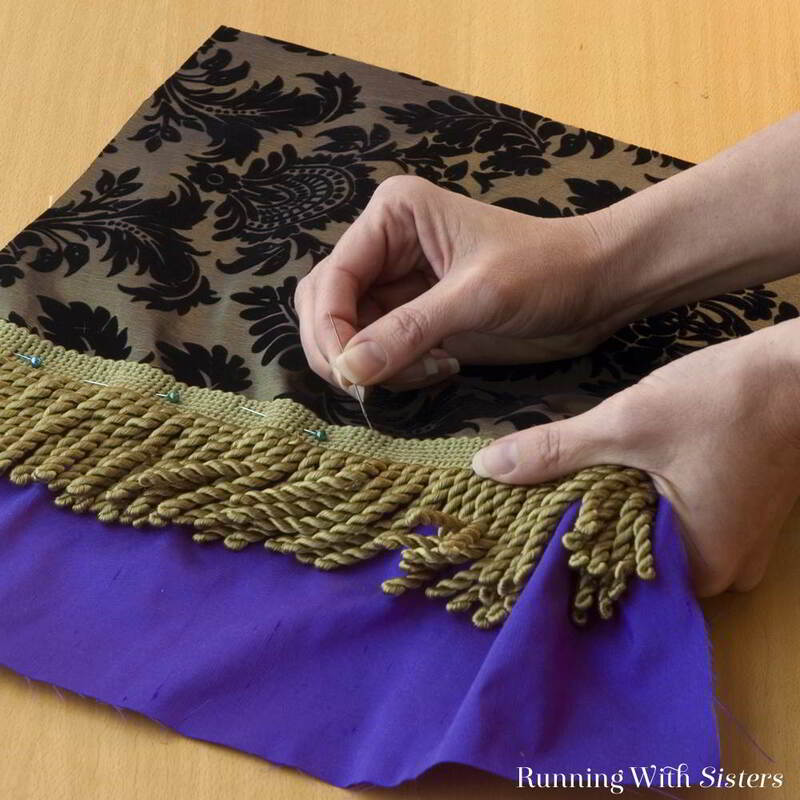 To embellish the front of the throw pillow, pin the olive fringe over the seam with the fringe toward the purple shantung side. 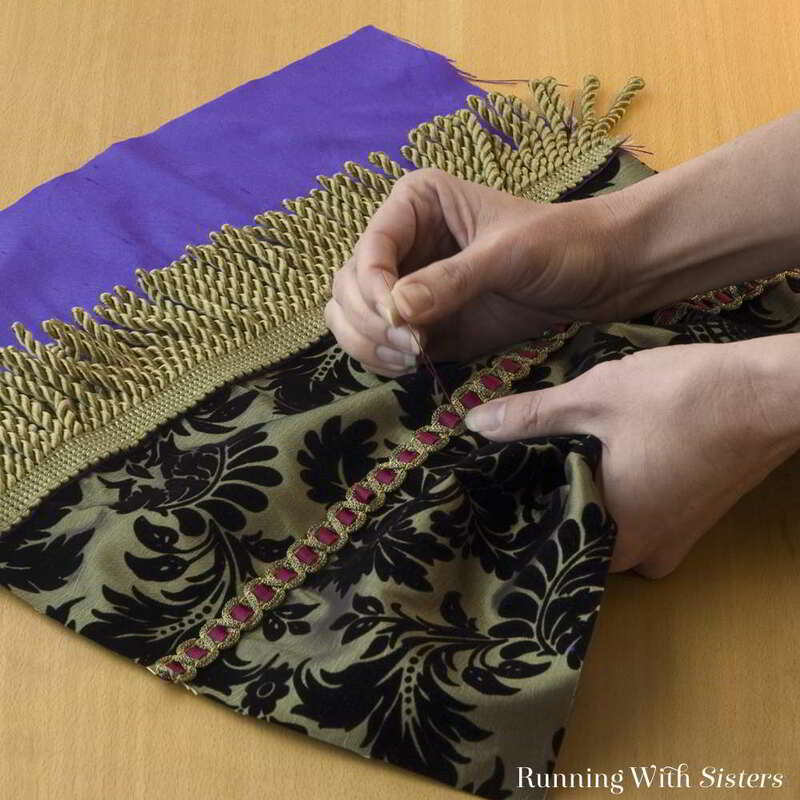 Hand-sew the fringe to the pillow front with the olive thread. 4. 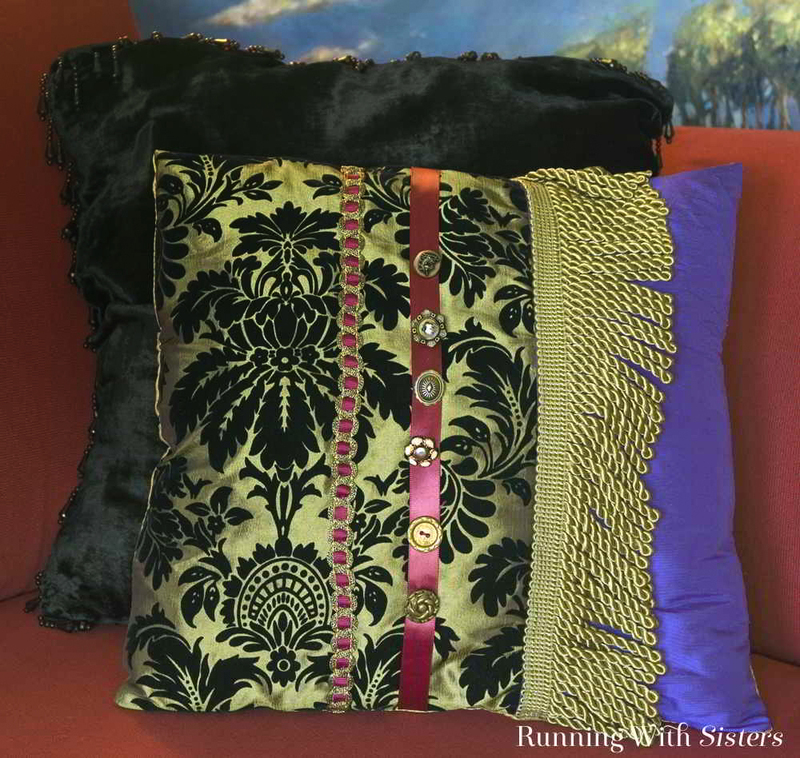 Pin a strip of wine gimp trim to the center of the flocked taffeta side of the pillow front. 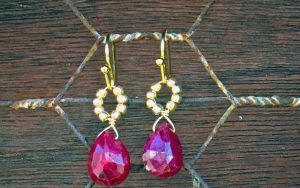 Hand-stitch with wine thread. 5. 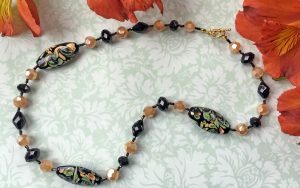 Pin a strip of wine ribbon between the gimp trim and the fringe. Attach the ribbon to the pillow front with the wine thread by sewing 6 old buttons down the ribbon. 6. 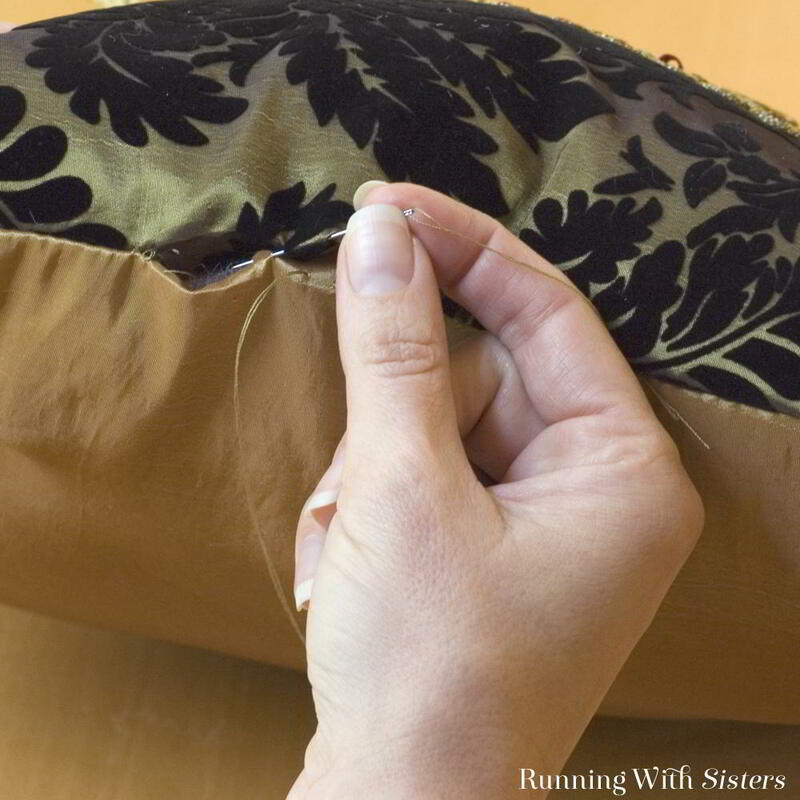 To finish the pillow cover, lay the pillow front facedown on the gold acetate lining (faceup). Pin all the way around. 7. 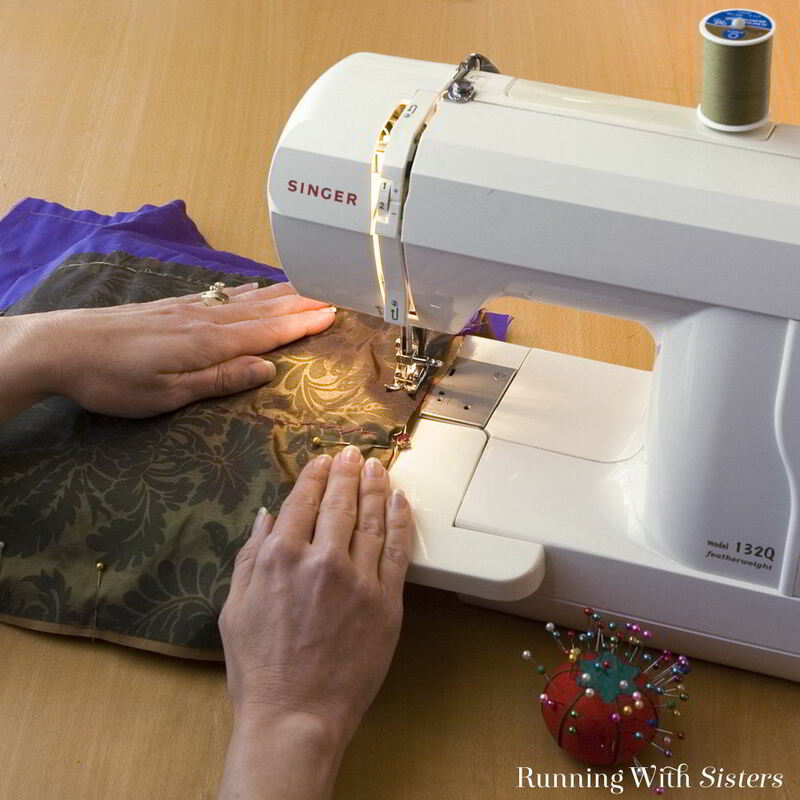 Using a sewing machine, sew all the way around the pillow cover ½” from the edge. Leave a 4” opening on one side to insert the stuffing. 8. Turn the pillow cover right side out and stuff with the fiberfill. Be sure to push the stuffing into the corners. 9. 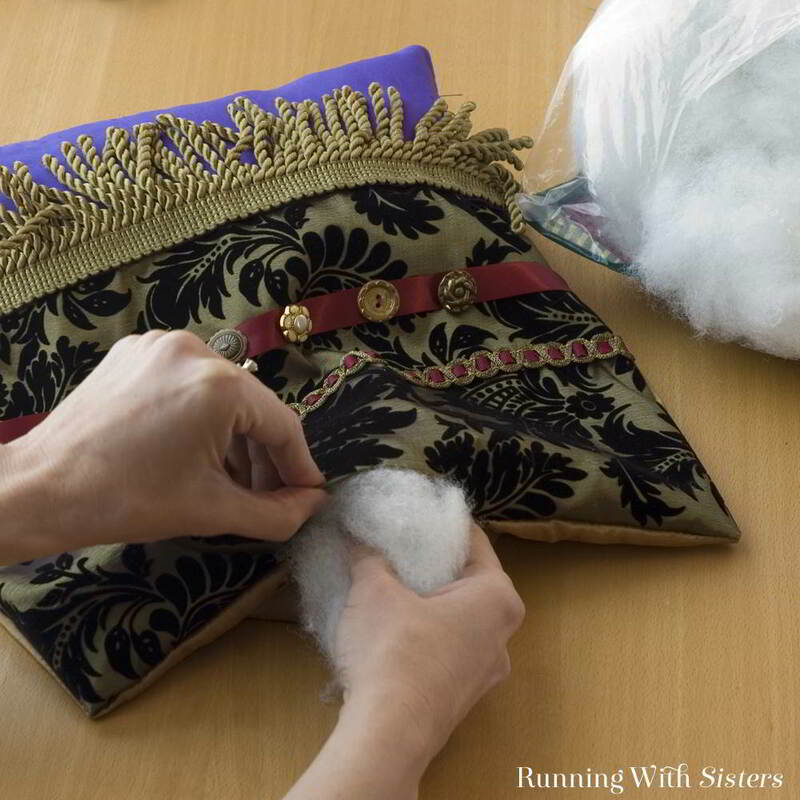 To close the pillow, fold the edges of the opening inside and pin together, then use matching thread and a slipstitch to sew the opening closed. Now toss that posh pillow on your sofa for everyone to see! Do you like to sew? Do you sew your own throw pillows? Any tips to share? We’d love to hear them. Leave us a comment! Tassles on pillow looks great but wondering its color. 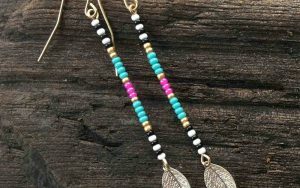 Gold or green. Great post. Like your pillows! I want to try it. Thanks for sharing such a nice post with us and Keep it up!